Copyright © 2011 “AXE Equipment”. All rights reserved. 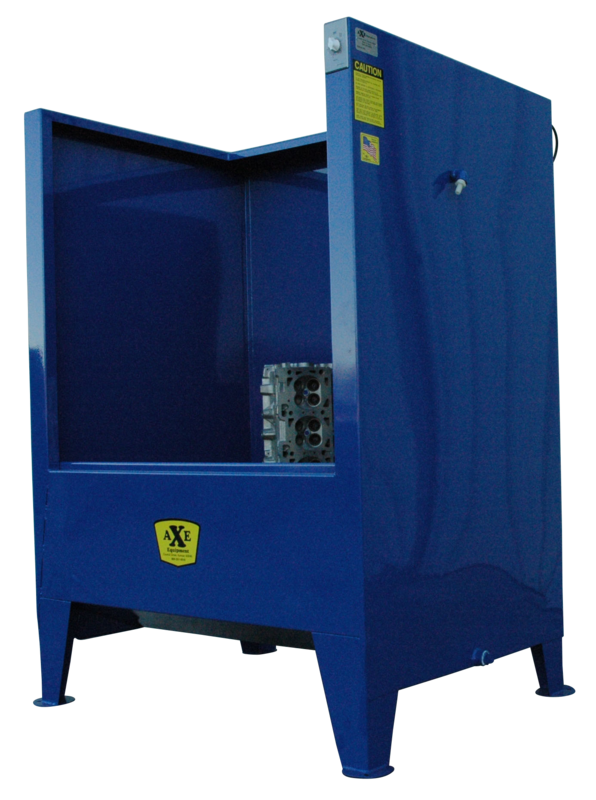 With an AXE Water Recycling Rinse Booth, you can overcome the risk of exposure to EPA violations and keep the shop cleaner and more efficient. 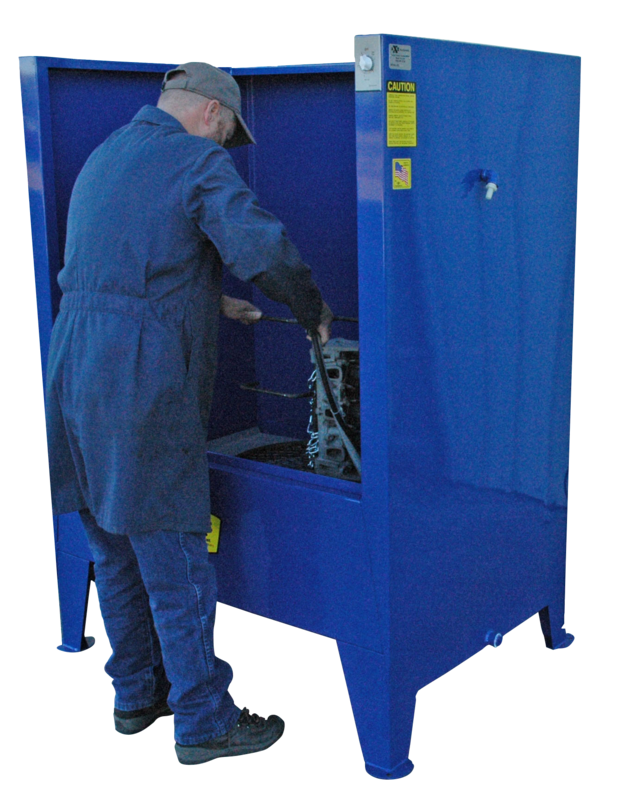 When rinsing in one of the AXE Water Recycling Rinse Booths you can contain your rinse water inside the reservoir of the rinse booth, and when needed simply recycle the dirty rinse back to your spraywasher or hot tank for use as make up water. 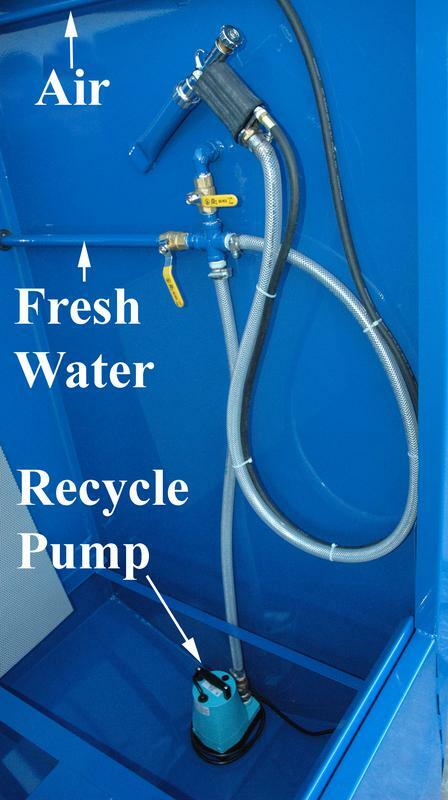 Equipped inside the Water Recycling Rinse Booths is a built in fresh water inlet and air inlet going to the air/water gun, 18 gpm pump is included. 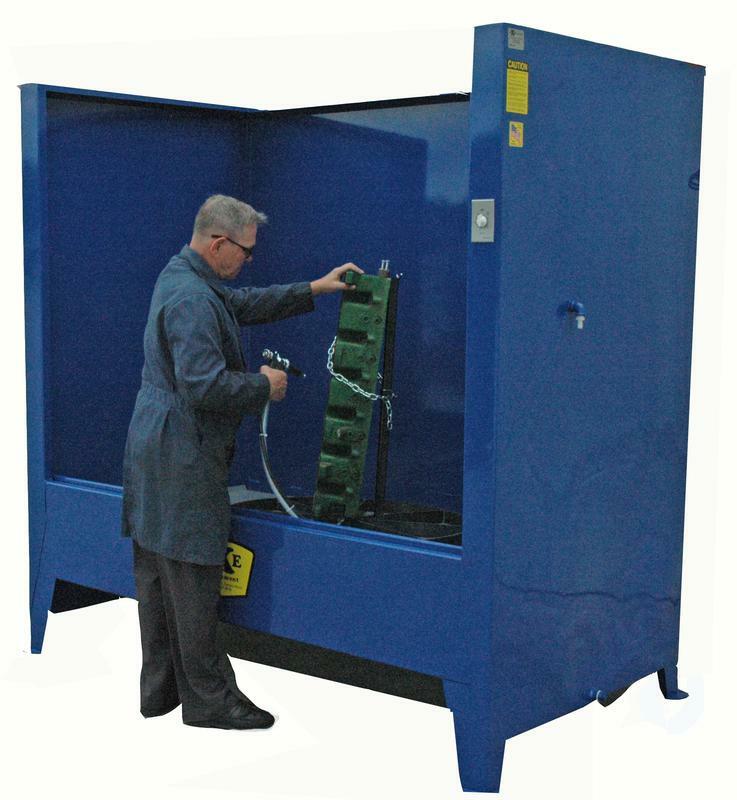 4 sizes of turntables available to fit most any application. 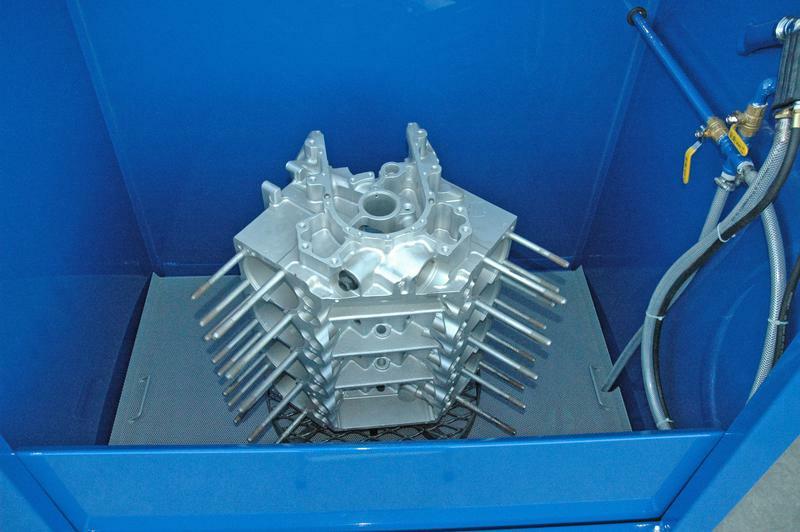 A powder coated perforated sheet located under the turntable eliminates gasket materials and other foreign objects from falling into the reservoir. Outside the Rinse booth is the hookup for the air and fresh water. 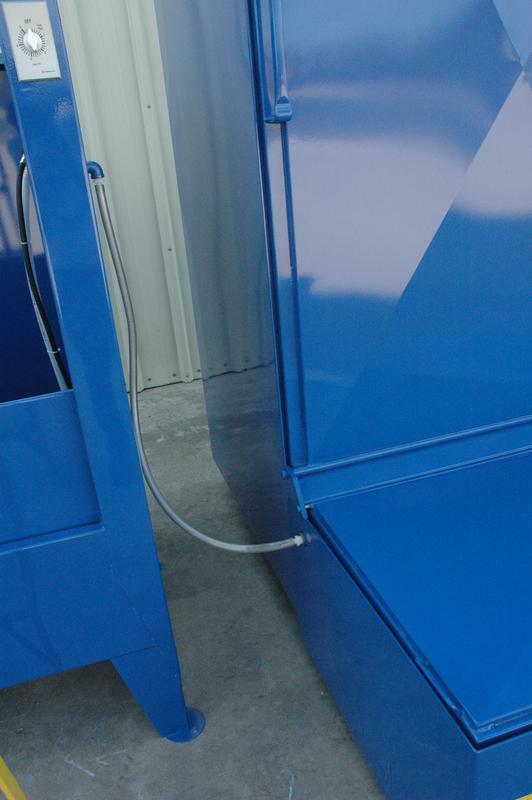 This built in feature eliminates the need for water and air hoses to be laying on the ground. 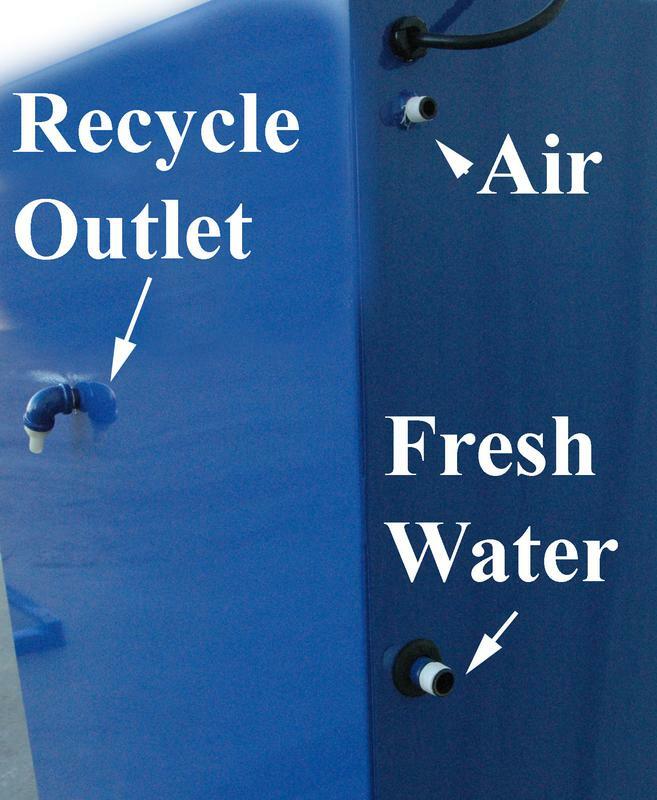 In addition a built in Recycle outlet is provided for moving water out of the rinse booth for recycling or reuse purposes. 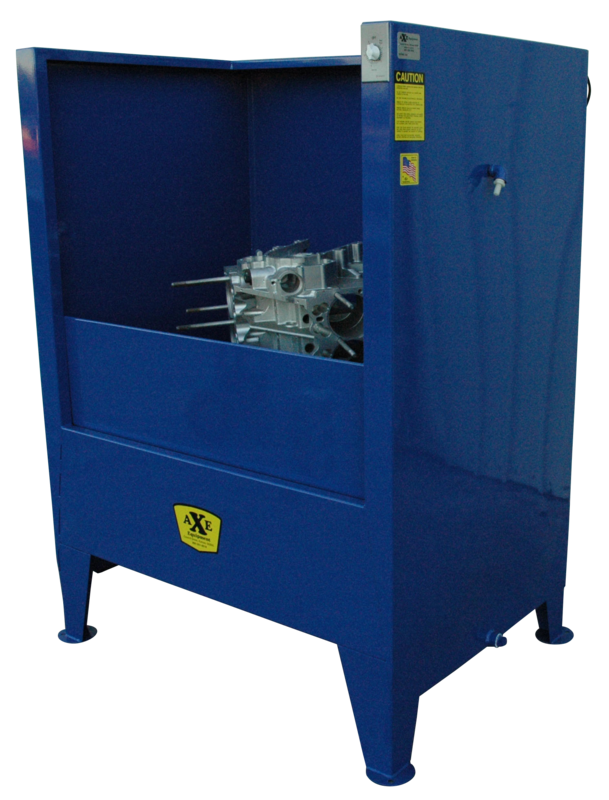 RB100 comes with a large 36" diameter turntable with a weight capacity up to 1000 lbs. 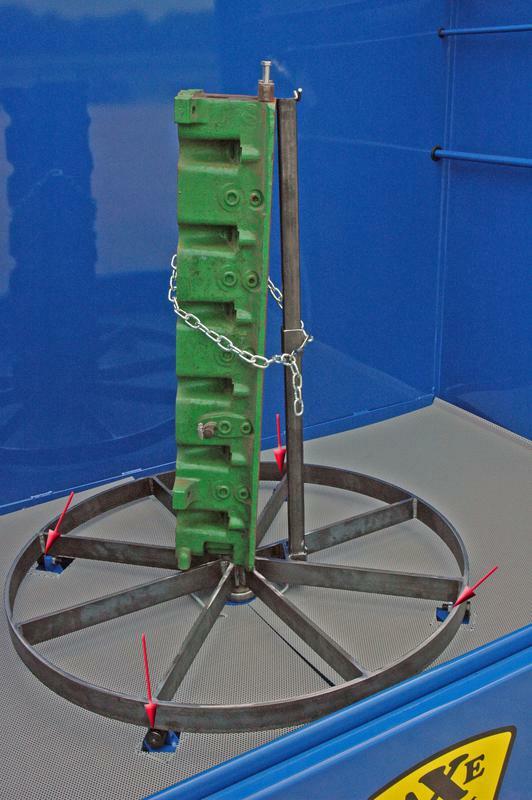 RB100 turntable uses 4 outer roller supports for supporting any offset loads. 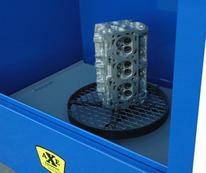 Includes adjustable head rack for safely holding and supporting cylinder heads. Adjustable head rack is removable.